On January 1, Catholics celebrate the Solemnity of Mary. Normally, this is a Holy Day of Obligation, but this year it is not. 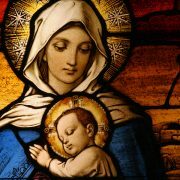 What is the Solemnity of Mary, and why is it on New Year’s Day? The Solemnity of Mary is the day we honor Mary as the Mother of Jesus. Jesus is one Person with two natures (in a “hypostatic“union). Therefore, Mary is “Theotokos,” Mother of God, and due the respect that accompanies that reality. Honoring Mary as Mother of God is the highest honor we can give her, celebrating her Divine Maternity. The declaration of this title can be traced back to the Council of Ephesus in 431. January 1 is the Octave of Christmas. Only Christmas and Easter still enjoy the privilege of an octave, which is an eight day extension of the feast. In 1968, Pope Paul VI also established January 1 as The World Day of Peace. Therefore, it is appropriate on this day to ask Mary, the Mother of Peace to bring us closer throughout the year, to her Divine Son, the Prince of Peace! December 31 is the Feast of the Holy Family. Here’s the link to our website where you can find the Holy Family Novena. Our country needs prayers, and this Novena covers all kinds of family needs. On behalf of our pastor Fr. Murphy and the staff of St. Katharine Drexel Mission, we wish you and your family a blessed Christmas season. 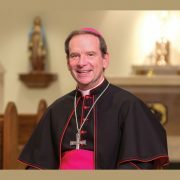 Please read the attached Christmas letter from Arlington Diocese Bishop Michael Burbidge. 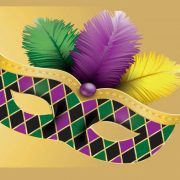 The 2018 SKD Mardi Gras Ball and Auction will be held on February 10, 2018 at the Piedmont Golf Club in Haymarket, VA. In addition to being a fun community building event, the Mardi Gras Ball will serve an important purpose in raising funds to build our new church! The evening will feature dinner, open bar, music, raffles, and a live and silent auction. Last year’s inaugural event sold out quickly, so get your tickets now after Mass or by purchasing them online through Faith Direct. We are also looking for businesses, organizations and individuals to sponsor our gala. Remember all proceeds benefit the St. Katharine Drexel Building Fund. To sponsor this important fundraising event or purchase an ad in our Auction Catalogue, please print our Mardi Gras Advertising Form or the Online Sponsorship/Advertising Form. Don’t miss this fun-filled event in support of our growing church. If you have any questions about the St. Katharine Drexel 2018 Mardi Gras Ball, please contact Casey Parker at cparker@amberridgellc.com. 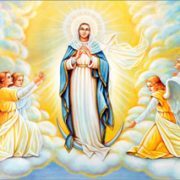 Come, grow in your spiritual development and advance the Reign of Christ through Our Lady. The St. Katharine Drexel Legion of Mary meets every Monday at 3:00 PM in the Mission Office located at 14535 John Marshall Highway, Suite 210 in Gainesville, VA. If you would like to learn more, please contact Jackie Lorzing at jackie.lorzing2011@gmail.com. 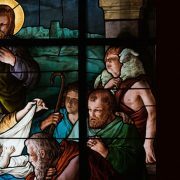 Men and women, at least 18 years old, are invited to sing with the 10:30 AM choir for Sunday Masses and Holy Days, including Christmas and Easter. The “Choir Year” runs from September 2017 through June 3, 2018. Rehearsals are held in the Bull Run Middle School Choir Room from 9:15 – 10:15 AM every Sunday. Previous experience is not necessary nor is it necessary that you read music. Rehearsals will cover everything you need to know to sing in unison as well as four part harmony. Our first rehearsal will be September 17 at 9:15 AM in the Choir Room. Please join your fellow parishioners in this ministry of sung prayer! If you would like to participate in the choir, or if you have questions, please contact Trudy Maher at (540) 687-6433 or tmaher@saint-stephen.org. 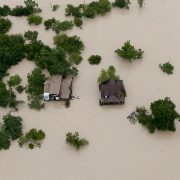 For those who are able, I ask that you consider making a donation to Catholic Charities USA, which is leading the disaster relief effort on behalf of the Catholic Church in the United States. There are many people who need help receiving basic necessities, and they will also need help rebuilding so much that has been lost. Seeing the violence in Charlottesville was saddening and disheartening. The more we read about the demonstration of racism, bigotry and self-proclaimed superiority it seemed as though we were living in a different time. So much progress has been made since the Civil Rights Movement. And yet, there are some who cling to misguided and evil beliefs about what makes America unique and remarkable. Any discussion of this sensitive topic should begin with condemning all forms of bigotry and hatred. For Christians, any form of hatred, no matter who it is against, is an offense-a sin-against the Body of Christ. Each person is created by God and bestowed with His unyielding love. Anyone who treats one of those creations with disrespect, disdain or violence, has offended not just that person, but also the creator of that individual. 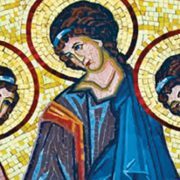 When we witness destructive behavior, such as racism or hatred, we might naturally respond with righteous anger, but we must not respond with our own form of hatred. Hating those who hate us offers no possibility of authentic conversion or growth the sons and daughters of God. We should be grateful to live in a country where freedom of speech and assembly is cherished and protected in a constitution. This right protects religious expression, for example. At the same time, these rights also open the opportunity for those with evil intent and backward thinking to demonstrate and share what they believe as well. The question we must ask, especially after seeing our rights misused to the point that violence erupts leaving many injured and a young woman dead, is: what do we do now? We must find unity as a country. Unity does not mean we all believe the same things. Likewise, the freedom to express differing views or opinions does not mean we reject our unity as God’s family. The Catholic Church is rooted in fundamental principles that make us authentically Catholic-but apart from them, there are issues that allow debate and discussion, which is normal within any family. Our country is the same in many ways. We must be united by a shared interest in freedom, liberty, and love for our neighbor. Beyond those unifying principles, there will be disagreements and differing beliefs. But our unity is in our shared values ​​and, perhaps more importantly, the respect we show to one another. Without respect for each other, even when we adamantly disagree, we will see more violence and discord in this great nation. 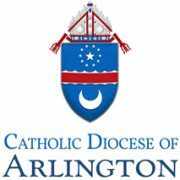 At this time, I call upon all Catholics in the Diocese of Arlington to turn to the patroness of our nation, Mary under the title of the Immaculate Conception, and St. Michael the Archangel, and pray for unity, respect, and peace in our Communities. The newly formed Father Jon O’Brien Knights of Columbus Council is seeking new members. The Knights of Columbus is one of the largest fraternal charitable service organization with more than 1.9 million members in over a dozen countries. 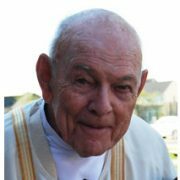 Members are Catholic men who come together through faith to support their Church and local, national and worldwide causes through charitable action. The Saint Katharine Drexel Knights of Columbus Council meets on the third Thursday of the month at 7:00 PM at the Mission Office, 14535 John Marshall Hwy, #10 in Gainesville, VA. All Catholic males 18 and over are welcome! 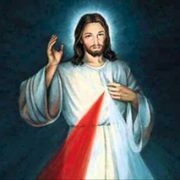 Please join us in praying the Divine Mercy Chaplet each Sunday immediately following the 8:00 AM Mass in front of our Divine Mercy image. If you have never prayed this Chaplet, it is a beautiful and powerful prayer taught by Christ to Saint Faustina. The Chaplet and Rosaries are available so we may all recite it together. Everyone is welcome!